Mordán is a wizard connected in folklore with this hill [TR]. The name is very suggestive of the Welsh Merddyn (Merlin). 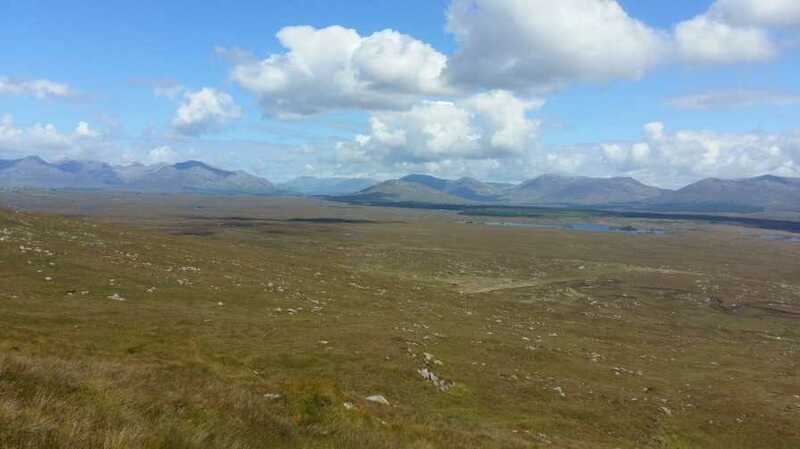 Walks: for a route around Binn Bhuí, S of Cnoc Mordáin, see Walking in Connemara, 3.2. For a walk along the ridge (named Derryrush to Kilkieran, rather than Cnoc Mordáin), see Whilde & Simms, New Irish Walk Guide - West and North, 28-29. Cnoc Mordáin is the second highest hill in the South Connemara area and the 1045th highest in Ireland. South Connemara packs a punch.